Fact: the number one reason for freight damage claims being denied is that the consignment has not been prepared properly. Taking care when packaging goods for shipment is especially important for valuable goods that can be damaged easily. 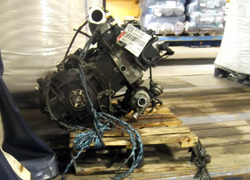 In this article, we explain how to minimise the risks when shipping an engine. Engines – even used ones – are not cheap, so it’s a false economy to skimp on packaging and thereby increase the chances of your equipment being damaged in transit. What’s more, your pallet courier could refuse to carry the item and still charge you for turning up to collect it! This wasted time and money can be avoided by following some simple advice to prepare your engine correctly for shipping. In assessing how your engine has been made ready for its journey, a transport company will not only be considering the risk of damage to your item but also to other products it is shipping for other clients. 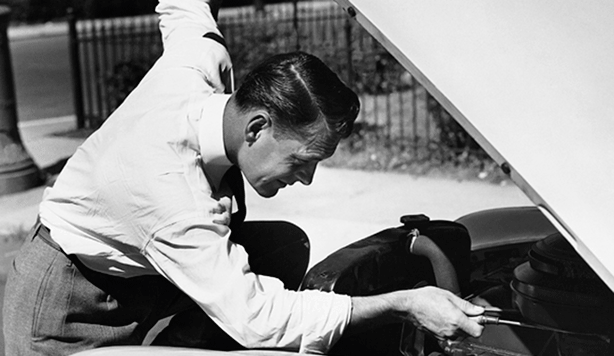 In this respect, second-hand engines pose a particular problem because if their fluids are not drained, they can leak. Such fluids – such as oil or water – have the potential to damage other freight or the trailer itself, as well as possibly creating a slip hazard. Acceptable alternatives are industrial-standard plastic straps or steel banding, with a minimum of two bands in place and with all straps being protected where they touch the engine to prevent them slipping out of position. Rope is generally not acceptable because it cannot be tightened sufficiently. Equally, the use of shrink wrap material on its own will rarely be suitable, although this is a useful addition to prevent leakage – however, remember to leave a hole so that the driver can check for oil with a dipstick. 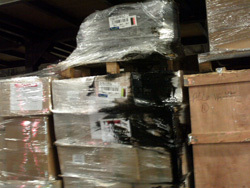 Proper preparation of an engine for shipping may be inconvenient and costly but so is having your consignment refused. According to the Health and Safety Executive’s Workplace Transport Safety Guide, everyone in the supply chain should co-operate to achieve safety – including the sender – so you have a duty to ensure that your load is secure and safe. 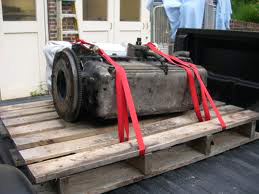 Remember, even if the freight company agrees to ship your engine, they have the legal right to deny your claim for damages if the consignment was not properly packaged for its journey. If you have a query about how to prepare an engine – or any load for shipment, don’t hesitate to call us for advice on 0345 260 1086. All fluids – including water – must be fully drained before shipping. In order to check that this has been done, the delivery driver may use a dipstick to check for oil, so clear access should be left for him to do this. Be warned that if oil is present, the load may be refused. To protect against leakages, your pallet should be covered with some absorbent material – such as old sheets – before the engine is placed on top. If engines are not packaged within a crate or mounted on a pallet and securely fastened, they can move about. This again poses a risk of damage to other freight. Remember that your engine will be picked up by a forklift truck for loading and unloading the trailer and will usually travel on more than one vehicle. Your shipment will generally go to a local warehouse or transfer hub where it will be sorted for shipment. This allows the distribution company to optimise the use of trailer space but, of course, the loading and unloading process greatly increases the risk of damage if goods are not secure. Where possible, the engine should be flat, with a good amount of surface contact with the pallet. If the engine is not flat due to having a sump, this should be positioned within a car tyre to help stabilize it. The pallet should be a minimum of 4 inches (10cm) larger than the item on all sides. An engine that is just resting on a pallet is liable to tip and tilt about, so it must be secured and the ideal solution is a ratchet strap.